Couples or individuals who suffer from infertility can turn to In Vitro Fertilization (IVF), a process where the woman’s egg is fertilized outside of the body, and then the fertilized embryo is implanted inside of the uterus. This procedure is not always successful. Some women have to try multiple IVF cycles before they can become pregnant. In the mean time, couples and individuals need to decide how to deal with a failed cycle, without putting any of the blame or stress on themselves. 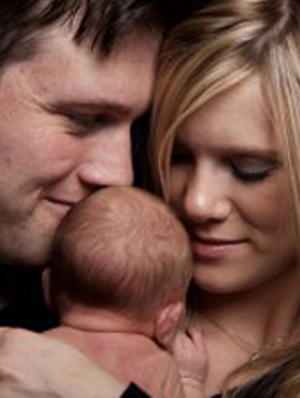 If you or your partner has suffered from a failed IVF procedure, you should not lose hope. There are many factors that will determine if your procedure is successful, including your age, the specialist conducting the procedure, and the reasons that led to your infertility. Studies show that the IVF procedure is successful 29.4 percent of the time. Of that percentage, 22.4 percent of women actually give birth to a child. Australia is known for conducting some of the most successful IVF procedures, but the reality is, more patients are unsuccessful than successfule on their first try. If your IVF cycle fails, you can try again. Keeping a positive outlook is the best strategy when coping with a failed IVF cycle. Some very useful information is gathered from unsuccessful cycles and your fertility specialist should be able to give you some possible reasons why your IVF cycle failed. But you should keep in mind that specialists do not always have all of the answers. Scientists and doctors work hard every day to come up with new fertility medicines and procedures that can hopefully improve IVF success rates, but nothing is guaranteed. You can go over the reasons why your IVF cycle could have failed with your fertility specialist and come up with a plan to help prevent your next cycle from failing – but again, there are no guarantees. You should not give up on the IVF procedure, unless the stress is causing you physical and emotional harm. You and your partner can speak with one of our fertility counselors who will help you deal with the emotional setbacks of a failed IVF cycle. You should take a couple of months to deal with the failed IVF cycle, and then you can try the procedure again. Stress could be a reason why your IVF cycle failed. If so, you need to alleviate any and all stress from your life. That stress could be from work, in which case you should see if you can take some time off. You can take that time to relax and decide what your next step will be, but you should not give up, unless a fertility specialist advises you to, or if you feel that is the best decision for you and your partner. There are no IVF cycle limits. Some couples have had more than nine IVF cycles, but they did not give up, and they were eventually successful. It is a misconception that you will not become pregnant and give birth just because you have had a few failed IVF cycles. Stay positive and contact your fertility specialists to begin the process again!